1) Agropyron cristatum (L.) Gaertn. 2) Agropyron cristatum (L.) Gaertn. ssp. cristatum 3) Agropyron cristatum (L.) Gaertn. ssp. pectinatum (... 4) Agropyron cristatiforme Sarkar 5) Agropyron pectinatum (M. Bieb.) P. Beauv. 6) Agropyron pectiniforme Roem. & Schult. 7) Agropyron cristatum (L.) Gaertn. ssp. pectinatum (... 8) Agropyron imbricatum Roem. & Schult. 9) Agropyron desertorum (Fisch. ex Link) Schult. 10) Agropyron cristatum (L.) Gaertn. ssp. desertorum (... 11) Agropyron cristatum (L.) Gaertn. var. desertorum (... 12) Agropyron fragile (Roth) P. Candargy 13) Agropyron cristatum (L.) Gaertn. ssp. fragile (Rot... 14) Agropyron cristatum (L.) Gaertn. var. fragile (Rot... 15) Agropyron fragile (Roth) P. Candargy ssp. mongolic... 16) Agropyron fragile (Roth) P. Candargy ssp. sibiricu... 17) Agropyron fragile (Roth) P. Candargy var. sibiricu... 18) Agropyron mongolicum Keng 19) Agropyron sibiricum (Willd.) P. Beauv. 20) Agropyron x hybrid auct. 21) Agropyron villosum (L.) Link 22) Agropyron abolinii Drobow 23) Agropyron alaskanum Scribn. & Merr. 24) Agropyron boreale (Turcz.) Drobow ssp. alaskanum (... 25) Agropyron boreale (Turcz.) Drobow var. alaskanum (... 26) Agropyron latiglume (Scribn. & J.G. Sm.) Rydb. 27) Agropyron trachycaulum (Link) Malte ex H.F. Lewis ... 28) Agropyron violaceum (Hornem.) Lange 29) Agropyron violaceum (Hornem.) Lange var. albovirid... 30) Agropyron albicans Scribn. & J.G. Sm. 31) Agropyron albicans Scribn. & J.G. Sm. var. griffit... 32) Agropyron dasystachyum (Hook.) Scribn. & J.G. Sm. ... 33) Agropyron griffithii Scribn. & J.G. Sm. ex Piper, ... 34) Agropyron griffithsii Scribn. & J.G. Sm. ex Piper 35) Agropyron arizonicum Scribn. & J.G. Sm. 36) Agropyron spicatum Pursh var. arizonicum (Scribn. 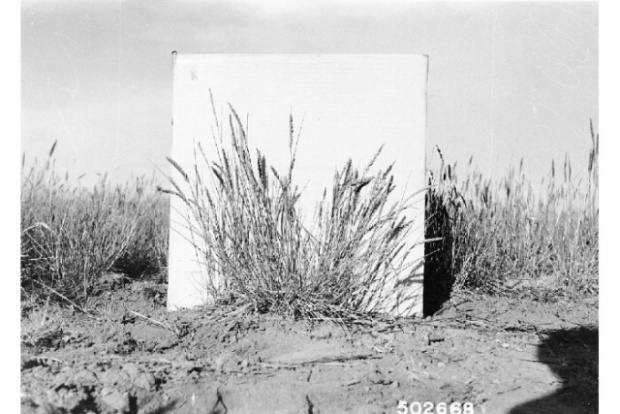 ... 37) Agropyron bakeri E.E. Nelson 38) Agropyron trachycaulum (Link) Malte ex H.F. Lewis ... 39) Agropyron batalinii (Krasn.) Roshev. 40) Agropyron scabrifolium (D�ll) Parodi 41) Agropyron caninum (L.) P. Beauv. 42) Agropyron ciliare (Trin.) Franch. 43) Agropyron donianum F.B. White 44) Agropyron drobovii Nevski 45) Agropyron fibrosum (Schrenk) P. Candargy 46) Agropyron boreale (Turcz.) Drobow 47) Agropyron dasystachyum (Hook.) Scribn. & J.G. Sm. 48) Agropyron dasystachyum (Hook.) Scribn. & J.G. Sm. ... 49) Agropyron dasystachyum (Hook.) Scribn. & J.G. Sm. ... 50) Agropyron elmeri Scribn. 51) Agropyron lanceolatum Scribn. & J.G. Sm. 52) Agropyron riparium Scribn. & J.G. Sm. 53) Agropyron riparum Scribn. & J.G. Sm., orth. var. 54) Agropyron dasystachyum (Hook.) Scribn. & J.G. Sm. ... 55) Agropyron dasystachyum (Hook.) Scribn. & J.G. Sm. ... 56) Agropyron psammophilum J.M. 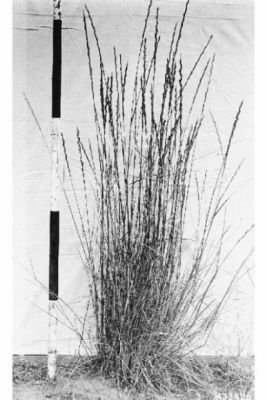 Gillett & H. Senn 57) Agropyron longearistatum (Boiss.) Boiss. 58) Agropyron dasystachyum (Hook.) Scribn. & J.G. Sm. ... 59) Agropyron macrourum (Turcz.) Drobow 60) Agropyron sericeum Hitchc. 61) Agropyron magellanicum (E. Desv.) Hack. 62) Agropyron patagonicum (Speg.) Parodi 63) Agropyron pubiflorum (Steud.) Parodi 64) Agropyron remotiflorum Parodi 65) Agropyron angustiglume Nevski 66) Agropyron mutabile Drobow 67) Agropyron praecaespitosum Nevski 68) Agropyron ugamicum Drobow 69) Agropyron pseudorepens Scribn. & J.G. Sm. 70) Agropyron pseudorepens Scribn. & J.G. Sm. var. mag... 71) Agropyron pseudorepens Scribn. & J.G. Sm. var. sen... 72) Agropyron vaillantianum (Wulfen & Schreb.) Trautv.... 73) Agropyron repens (L.) P. Beauv. 74) Agropyron repens (L.) P. Beauv. var. subulatum (Sc... 75) Agropyron elongatiforme Drobow 76) Agropyron boreale (Turcz.) Drobow ssp. hyperarctic... 77) Agropyron latiglume (Scribn. & J.G. Sm.) Rydb. var... 78) Agropyron violaceum (Hornem.) Lange var. hyperarct... 79) Agropyron saundersii (Vasey) Hitchc. 80) Agropyron agroelymoides (Hicken) J.H. Hunz. 81) Agropyron scabriglume (Hack.) Parodi 82) Agropyron scribneri Vasey 83) Agropyron kuramense Melderis 84) Agropyron semicostatum Nees ex Steud. 85) Agropyron striatum (Nees ex Steud.) Hook. f. 86) Agropyron gmelinii (Ledeb.) Scribn. & J.G. Sm. var... 87) Agropyron pringlei (Scribn. & J.G. Sm.) Hitchc., n... 88) Agropyron parishii Scribn. & J.G. Sm. 89) Agropyron caninum (L.) P. Beauv. var. unilaterale ... 90) Agropyron laeve (Scribn. & J.G. Sm.) Hitchc. 91) Agropyron parishii Scribn. & J.G. Sm. var. laeve S... 92) Agropyron pauciflorum (Schwein.) Hitchc. ex Silveu... 93) Agropyron pauciflorum (Schwein.) Hitchc. ex Silveu... 94) Agropyron subsecundum (Link) Hitchc. 95) Agropyron trachycaulum (Link) Malte ex H.F. Lewis ... 96) Agropyron trachycaulum (Link) Malte ex H.F. Lewis ... 97) Agropyron trachycaulum (Link) Malte ex H.F. Lewis ... 98) Agropyron brevifolium Scribn. 99) Agropyron caninum (L.) P. Beauv. ssp. majus (Vasey... 100) Agropyron caninum (L.) P. Beauv. var. andinum (Scr... 101) Agropyron caninum (L.) P. Beauv. var. hornemannii ... 102) Agropyron caninum (L.) P. Beauv. var. mitchellii S... 103) Agropyron pauciflorum (Schwein.) Hitchc. ex Silveu... 104) Agropyron pauciflorum (Schwein.) Hitchc. ex Silveu... 105) Agropyron pauciflorum (Schwein.) Hitchc. ex Silveu... 106) Agropyron pauciflorum (Schwein.) Hitchc. ex Silveu... 107) Agropyron pauciflorum (Schwein.) Hitchc. ex Silveu... 108) Agropyron subsecundum (Link) Hitchc. var. andinum ... 109) Agropyron tenerum Vasey 110) Agropyron teslinense A.E. Porsild & Senn 111) Agropyron trachycaulum (Link) Malte ex H.F. Lewis 112) Agropyron trachycaulum (Link) Malte ex H.F. Lewis ... 113) Agropyron trachycaulum (Link) Malte ex H.F. Lewis ... 114) Agropyron violaceum (Hornem.) Lange ssp. andinum (... 115) Agropyron violaceum (Hornem.) Lange var. andinum S... 116) Agropyron leptourum (Nevski) Grossh. 117) Agropyron tsukushiense (Honda) Ohwi 118) Agropyron pseudorepens Scribn. & J.G. Sm. var. 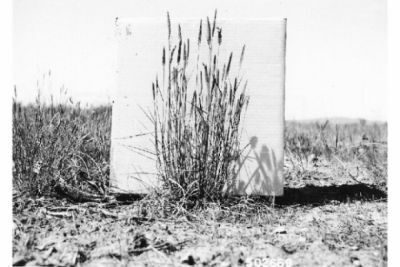 vul... 119) Agropyron vulpinum (Rydb.) Hitchc. 120) Agropyron dasystachyum (Hook.) Scribn. & J.G. Sm. ... 121) Agropyron yukonense Scribn. & Merr. 122) Agropyron alatavicum Drobow 123) Agropyron caespitosum K. Koch 124) Agropyron distichum (Thunb.) P. Beauv. 125) Agropyron x acutum (DC.) Roem. & Schult. 126) Agropyron x obtusiusculum Lange 127) Agropyron bonaepartis (Spreng.) T. Durand & Schinz 128) Agropyron squarrosum (Link) Roth 129) Agropyron orientale (L.) Roem. & Schult. 130) Agropyron prostratum (L. f.) P. Beauv. 131) Agropyron triticeum Gaertn. 132) Agropyron arenicola Burtt Davy, non Leymus arenico... 133) Agropyron subulatum (Banks & Sol.) Roem. & Schult. 134) Agropyron molle (Scribn. & J.G. Sm.) Rydb. 135) Agropyron smithii Rydb. 136) Agropyron smithii Rydb. var. molle (Scribn. & J.G.... 137) Agropyron smithii Rydb. var. palmeri (Scribn. & J.... 138) Agropyron saxicola (Scribn. & J.G. Sm.) Piper 139) Agropyron kosaninii Nabelek 140) Agropyron libanoticum Hack. 141) Agropyron inerme (Scribn. & J.G. Sm.) Rydb. 142) Agropyron spicatum Pursh var. inerme (Scribn. & J.... 143) Agropyron spicatum Pursh 144) Agropyron spicatum Pursh var. pubescens Elmer 145) Agropyron vaseyi Scribn. & J.G. Sm. 146) Agropyron stipifolium Czern. ex Nevski 147) Agropyron tauri Boiss. & Balansa 148) Agropyron aucheri Boiss. 149) Agropyron ciliatiflorum Roshev. 150) Agropyron gentryi Melderis 151) Agropyron glaucum (Desf. ex DC.) Roem. & Schult. 152) Agropyron intermedium (Host) P. Beauv. 153) Agropyron intermedium (Host) P. Beauv. var. tricho... 154) Agropyron podperae Nabelek 155) Agropyron pulcherrimum Grossh. 156) Agropyron trichophorum (Link) K. Richt. 157) Agropyron junceum (L.) P. Beauv. p.p. 158) Agropyron elongatum (Host) P. Beauv. 159) Agropyron varnense (Velen.) 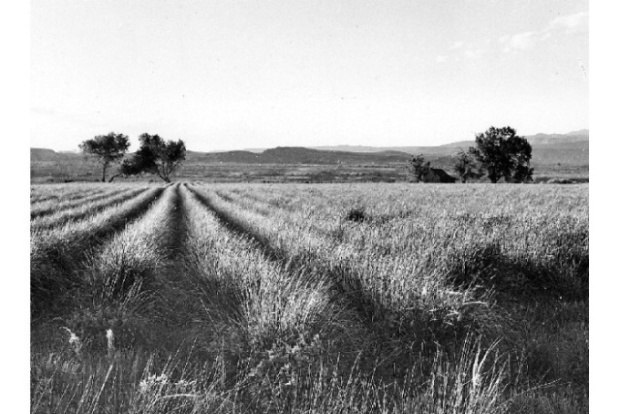 Hayek 160) Agropyron campestre Gren. & Godr. 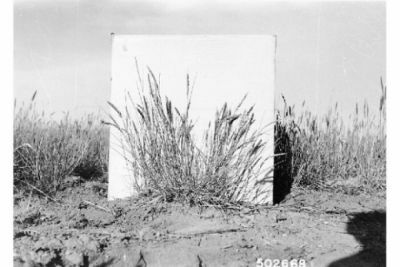 161) Agropyron littorale auct. non (Host) Durand 162) Agropyron pungens auct. non (Pers.) Roem. & Schult... 163) Agropyron pungens (Pers.) Roem. & Schult. var. aca... 164) Agropyron pycnanthum (Godr.) Gren. & Godr.